Microsoft finally confirmed the computing industry's worst kept secret just days ago when it sent out the invites for a Windows 10 devices event in New York City. Taking place on October 6, it's the first such event since the revolutionary new operating system first saw the light of day at the end of July and it's expected that phones, 2-in-1s and wearables will make up the brunt of the new line-up. Heading up the new products from a computing point of view is the Surface Pro 4 that has been rumoured for a while, however there are still few concrete details on what will make up the new version of Microsoft's 2-in-1. It's incredibly likely that Microsoft will plump for one of Intel's new Skylake chips and it's unclear whether this will take the form of the Core i5 or i7, or Core M variant. Skylake opens up plenty of possibilities when it comes to gaming and its ability to handle 4K UHD video output at 60fps will be a particular boon for users. The shape of the device is very unlikely to change given the earlier confirmation by Microsoft that all the accessories made for the Surface Pro 3 will also work on the new device and the only change in this department could be a larger version to take on the Apple iPad Pro, which at 12.9-inches is larger than the 12-inch Surface Pro 3. The Surface Pro 4 won't be the only device to be released. A couple of Windows Phone handsets, codenamed Cityman and Talkman, are expected to be outed in time for Windows Phone 10's release and alongside those an updated Microsoft Band to show off another of Windows 10's many faces isexpected. To find out what Microsoft ends up releasing, check back here after 10:00 EST/15:00 BST on October 6 for all the coverage. 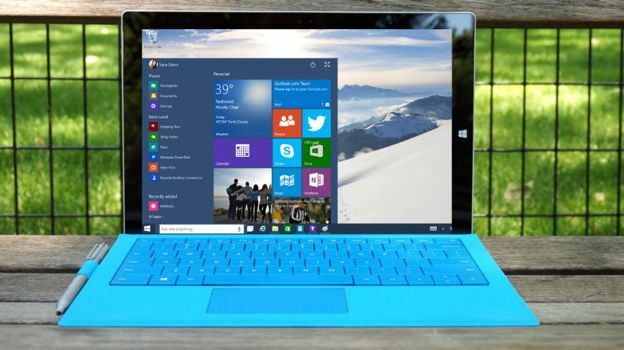 Check out our guide to the best Windows 10 laptops and tablets.